Christian Leaders College offers Certificates, Diplomas, and Degrees beginning at 30 credits. All the study is done at Christian Leaders Institute where you receive Mission Credential Awards. All college-level credentials come through Christian Leaders College. Click here to see the steps of Admission. You can study and receive digital mission credentials free of charge, including apprentice, basic, intermediate and advanced awards. Those classes can be used for the Christian Leaders College when you are ready. You study free of charge in a generosity-driven model of education before paying collegiate administration fees. 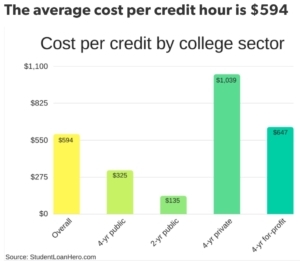 You avoid college debt. This saves you thousands of dollars in tuition payments. Christian Leaders College standardizes the study of the free classes at Christian Leaders Institute and adds Collegiate Credential activities that make your credentials comply with the 22 standards of the United States Department of Education-recognized accreditation standards. This is where administration fees apply. Brings you high-quality classes for the ministry called people. Most ministry positions are bi-vocational, part-time, or low salary. This program blesses the families of those called to ministry by allowing them to be free of college debt after their ministry training is complete. Christian Leaders College Low-Cost Ministry Study Programs includes Certificate, Diploma, and Degree collegiate credentials.